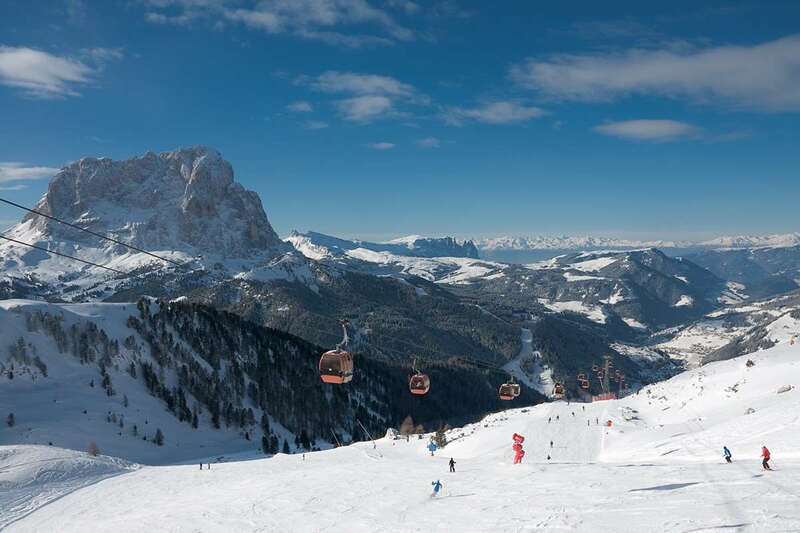 Right in the centre of the village with all the resort facilities nearby, the Hotel Armin is only 6 minutes' walk to the Ciampinoi gondola lift with immediate access to the world famous Sella Ronda ski circuit. Spacious, comfortable and well run by the Pitscheider family, the Armin has stylish, elegant reception ares and the bonus of leisure facilities. Live zither music accompanies the weekly gala dinner adding to the atmosphere of this speciality meal. 25 bedrooms. 2 people sharing a room with twin beds, private shower and WC. Single rooms are also available. Comfort twin rooms with private bath which have been refurbished are available at a supplement. All bedrooms have satellite TV, hairdryer, safe, balcony and can take a third bed.